Canadian twins Tatiana and Krista Hogan are 4 years old. 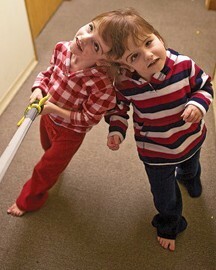 The test and his comments were included in the documentary Twins Who Share a Brain, produced and directed by Kelowna filmmakers David McIlvride and Alison Love. It aired in the U.K. in May, and on CBC’s Doc Zone earlier this month.